The Gion Shijo Station is close to the famous Gion district of Kyoto and is on the private train line of the Keihan Electric Railway. Many kinds of passenger trains including express and local trains stop at this station which was first opened over a century ago. During the 1980s an underground level was opened and the tracks and facilities were moved to the lower level. The Keihan Electric Railway which serves this station operates several rail lines in the Kyoto area, however none of them pass through the main Kyoto station. Nevertheless, this line is the one that is best for tourists since it serves many of the primary attractions, such as Gion. 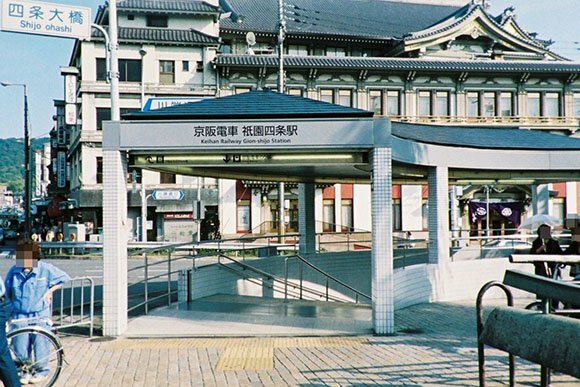 Originally named Shijo Station after the street on which it is located, the Gion Shijo Station is the gateway to this popular tourist area, giving excellent access to the southern part of the Pontocho historic alleyway as well as the Yasaka Shrine and the rest of the entertainment district. Gion is a must-see spot for any visitor who is hoping to spot a Geiko or Maiko in traditional dress, and its traditional wooden merchant’s houses are also a unique sight with their narrow yet tall facades.